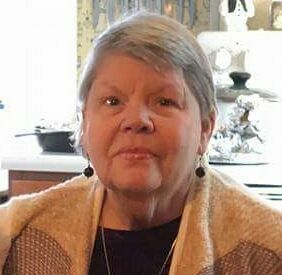 Rebecca Sue Cockram Harris, age 75, of 447 Greenwich Circle, Danville, died on Tuesday, December 4, 2018 at Kindred Hospital in Greensboro, NC. Mrs. Harris was born on December 21, 1942, in Highpoint, NC to the late Samuel K. Cockram and Annie Cockram She was married to Martin G. Harris who predeceased her She was a homemaker. Mrs Harris is survived by her children, Nancy Simpson (Tommy) of Blairs, VA, Richard Rusmisell (Robyn) of the Philepines, Raymond Rusmisell and Gloria Davis, both of Danville; sisters, Juanita Warren and Linda Harville of Danville, and Ruth Bolton of Highpoint, NC; eleven grandchildren and three great-grandchildren. In addition to her husband and parents, she was predeceased by her daughter, Susan Dewberry; her grandson, Steven Johnson; and a great-grandchild, Bailey King. Funeral services will be conducted Friday, December 07, 2018 at 11:00 a.m. at Barker Funeral Home Chapel with at with Dr. Charles B. Scearce officiating. Interment will follow at Danville Memorial Gardens. The family will receive friends at Barker Chapel one hour prior to the service.. At other times, the family will receive friends at the home of her daughter at 193 Mac Road, Blairs, VA, 24527. Barker Funeral Service is respectfully serving the Harris family.